If you have been left disappointed or dissatisfied with the outcome of medical treatment or advice from a doctor, dentist or other medical professional under whose care you or a family member have been placed, then you may need to consult a medical negligence solicitor. In certain cases you may have been a victim of medical or clinical negligence, and we would encourage you to get in touch with the expert solicitors from our claims and compensation team to see if we can assist you. Medical negligence is an extremely emotive subject; our aim is to put clients at ease and provide you with the right legal advice to create a satisfactory outcome. 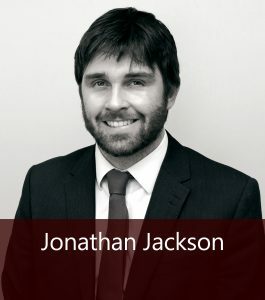 Our team is headed by Associate Director Jonathan Jackson who has successfully represented many clients in medical negligence actions. Medical negligence constitutes any malpractice by act or omission carried out by any medical practitioner. This list is an example of the more common cases of medical negligence we see but there are many more instances which can constitute a case being opened. If you have had issues with any of the below, or think you have grounds to file a case on in another area, please speak to our medical negligence solicitors. Medical negligence is a growing area of legal practice and such is the degree of specialism required for this type of claim that it is imperative you identify and consult with the right solicitors at the outset. If you feel disappointed with the result of a medical treatment or feel you have received incorrect or insufficient advice from a medical practitioner you may have grounds to file for medical negligence. Your first step should be to sit down with a medical negligence solicitor to discuss whether or not the injustice you have suffered justifies a claim and should be brought forward as a case. At your first consultation we will take detailed instructions from you of the circumstances giving rise to your initial treatment, your symptoms at the time of receiving advice, and the procedure or advice you received in order to get an understanding of your situation. For this consultation you should bring along details of any medical treatments, your GP’s details, records of any financial loss you have suffered (wages slips if possible) as well as photographic ID and proof of address. We will then write to the practitioner with details of your claim. The practitioner is obliged by Court Rules to investigate and furnish a full response within 3 months of our letter. It is at that stage that we can determine whether negotiations are to commence or whether Court proceedings are necessary. You will be kept fully informed throughout and will retain full control of the decision-making process. Medical evidence will be required to substantiate your claim. If you have attended hospital or your own doctor we will ask you to complete at your consultation a ‘Form of Authority’ to release hospital and/or GP notes and records to us. These will be reviewed with you, and will not be shared with anyone without your specific authority. If it becomes necessary to provide copies of GP notes and records to the other party’s insurance company or to solicitors appointed by those insurers, we take great care in agreeing with you which entries are not relevant to the claim and can therefore be withheld. You may have to attend with a medical consultant who will be asked to prepare a report for us. Consultants are specialists in the fields of medicine in which they practice and are therefore best placed to fully assess your injuries and the extent of any recovery you will make. We are very selective in the Consultants we use to ensure the highest quality of reports and that our clients are treated with the respect they deserve. In preparation for any appointments with a consultant, you should where possible bring detailed notes of the dates of any hospital/doctor’s appointments, medication prescribed or taken, symptoms, and how day-to-day activities have been affected. Forms of alternative dispute resolution costs and funding options, particularly whether legal aid is available or whether an after the event insurance (“ATE”) policy could be obtained. Our solicitors pride themselves on their personal, professional and dedicated service and will ensure that the details of your case are explained to you clearly and directly.